Tony Conrad, who can be described as an artist, composer, musician, filmmaker, and performer, might be considered the first true “crossover artist.” For the exhibition at the Kunsthalle Wien, Conrad built a replica of a jail cell that was used as the setting for a six-hour 16mm film, which he made in the 1980's, and which featured the artists Tony Oursler and Mike Kelley, amongst others. In his essay “A Show That's Almost Invisible,” the critic Jonathan Walley discusses how the main works in this exhibition relate to Conrad's interest in the subgenre referred to as the woman-in-prison film, silent music, and the idea of perspective developed during the Italian Renaissance. A conversation between Tony Conrad and Diedrich Diederichsen provides insight into the thinking of the multitalented artist and his unique position in the field of contemporary art. 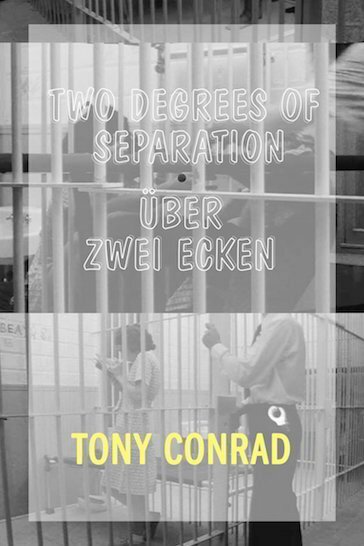 Published following the eponymous exhibition by Tony Conrad at Kunsthalle Wien, from December 2014 to March 2015. Tony Conrad (born 1940 in Concord, USA) is an avant-garde video artist, experimental filmmaker, musician/composer, sound artist, teacher and writer. Notable works include film The Flicker (1966) which consists on a succession of black & white frames and the Yellow Movies (1970's) a series of abstract paintings changing over time. Along with John Cale, Angus MacLise, La Monte Young, and Marian Zazeela, Conrad was an early member of the Theater of Eternal Music. His most notorious musical work is a 1972 collaboration with Krautrock band Faust, Outside the Dream Syndicate. Conrad continues to teach at the Department of Media Study at University at Buffalo.